A progressive new women's all-mountain ski, the all-new GLORY 74 delivers a beautifully balanced blend of playfulness and versatility for beginner to intermediate skiers. The POWERTRACK 79 introduces a new era of all-mountain performance for advanced to intermediate skiers. 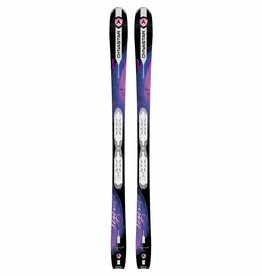 A progressive new women's all-mountain ski, the award-winning GLORY 84 delivers a beautifully balanced blend of playfulness, versatility, and power designed for advanced to expert skiers.